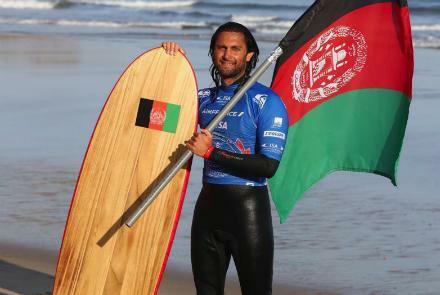 Tolo News: Afridun Amu, Afghanistan’s first surfer, will represent his country at this year’s International Surfing Association’s (ISA) world surfing championships in Japan. Amu, 31, was the first Afghan surfer to represent his country in the sport and has taken part in a number of international competitions including the ISA’s World Surfing Games in Biarritz, France in May 2017. Click here to read more (external link).